09:30 : Stop-over at Son Dong traditional sculpture villageproducing and supplying wooden statues to most of pagodas and temples in Northern Vietnam. Photograph skillful people mastering the technique of making marvelous wooden statues in numerous states. 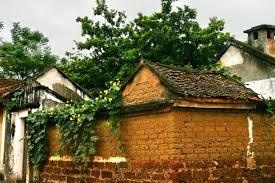 10:30 : Arrive at Duong Lam ancient village. 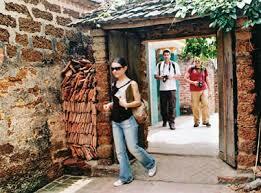 Visit Mong Phu temple, some ancient houses and enjoy local products: rice wine, rice cakes. 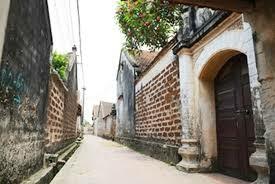 11:00 : Enjoy bicycle ride along peaceful countryside road to some historical vestiges such as : Giang Van Minh worship-house, Temples of King Ngo Quyen and Phung Hung. 11:30 : Cycling uphill to see a natural holy “milking- well” storing clear water all the year round. 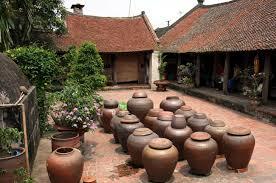 It is believed to help childless couple produce a baby if drinking this water. 13:30 : Get ready to return Hanoi. 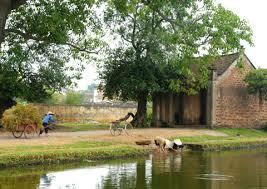 14:15 : On the way back, visit Tay Phuong pagoda built in the 8th century. 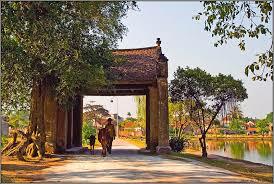 It is the best example of old typical pagodas in the North of Vietnam, being special with 18 ancient Arhan statues. 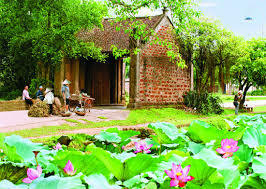 16:00 : Visit Van Phuc silk village, the cradle of best silk in Vietnam once. The house owner gives an introduction of the silk making process. 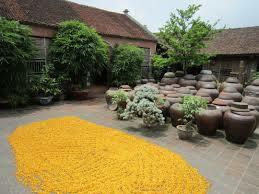 Then experience the local silk market in Van Phuc village. 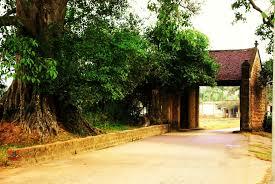 What do you think of Duong Lam Local Village?